You all know a crank. Someone who is single minded and who thinks their opinion about a particular issue is the only one that's right. I recognize the symptoms. As a public servant, I've had to deal with them many times. Now, I know that I am one. I have criticized the Lincoln County Department of Roads for their plans to tear down the historic North Platte River bridge north of Sutherland. I have criticized the Village of Sutherland for tearing down a downtown building. 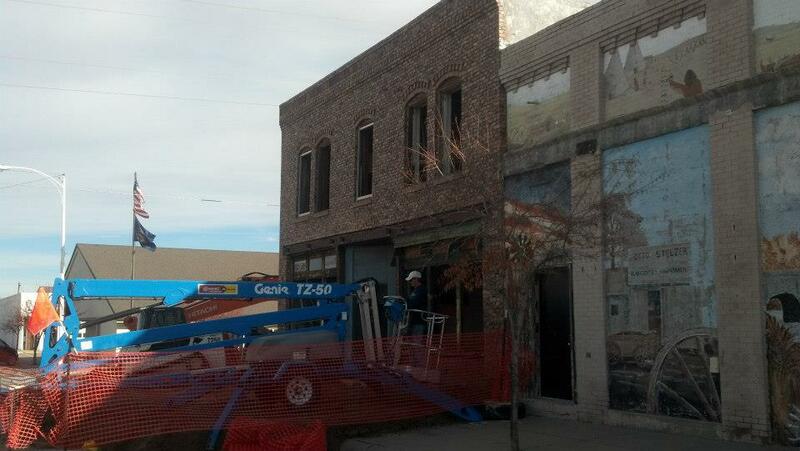 I have criticized the Village of Brule, Nebraska for tearing down a downtown building. 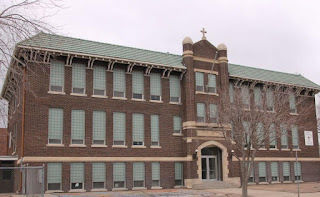 Now I have to turn my crankiness to the St. Patrick's Parish in North Platte for their plans to tear down the historic McDaid building and replace it with "six classrooms and a large meeting room." 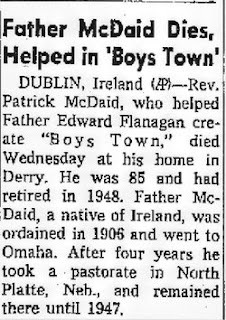 The Parish Priest who helped to build the McDaid school once helped Father Flanigan found Boys Town in Omaha. I also have to criticize our Nebraska Legislature for proposing a budget that eliminates funding for Nebraska's Main Street program - replacing the entire organization with a part time person within the Department of Economic Development who will also have other duties in addition to administering the Main Street program. 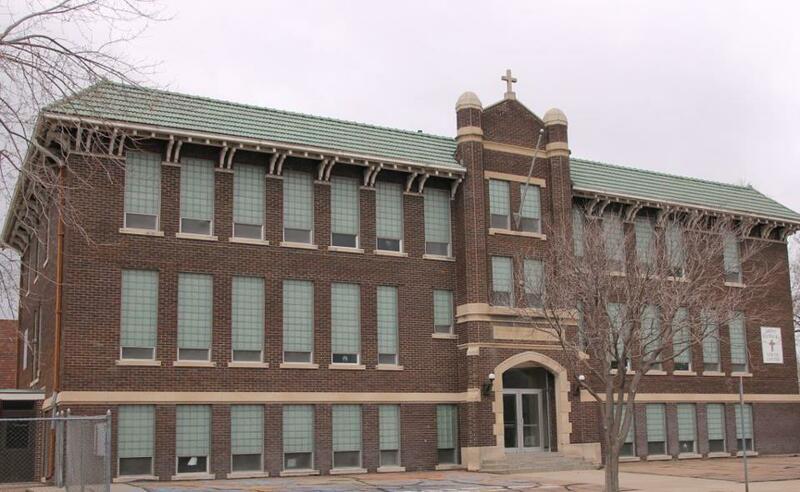 The Main Street Program has been hugely successful in helping Nebraska's small rural communities retain the historic integrity of their downtown districts, thereby improving the economic well being of their citizens - attracting entrepreneurs and visitors. What is wrong with us? 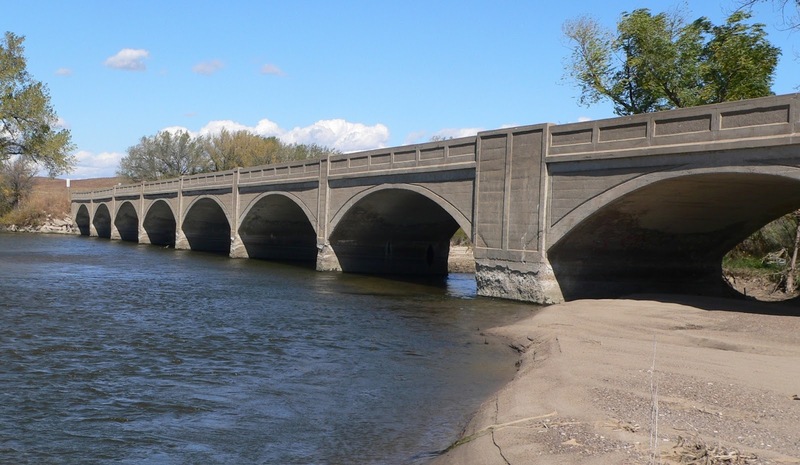 These old structures were built to last! Many are approaching 100 years, and with a little TLC could easily last 100 more, which is more than can be said for the cheap metal buildings they will be replaced with. 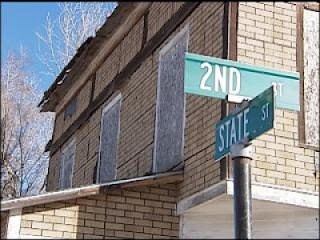 So yes, I know I'm a crank, but until the rest of Nebraska falls into step with preserving our built environment, you're all going to have to put up with it! I'm OK with it, but another option might be instead to laud successful projects as examples of preservation.